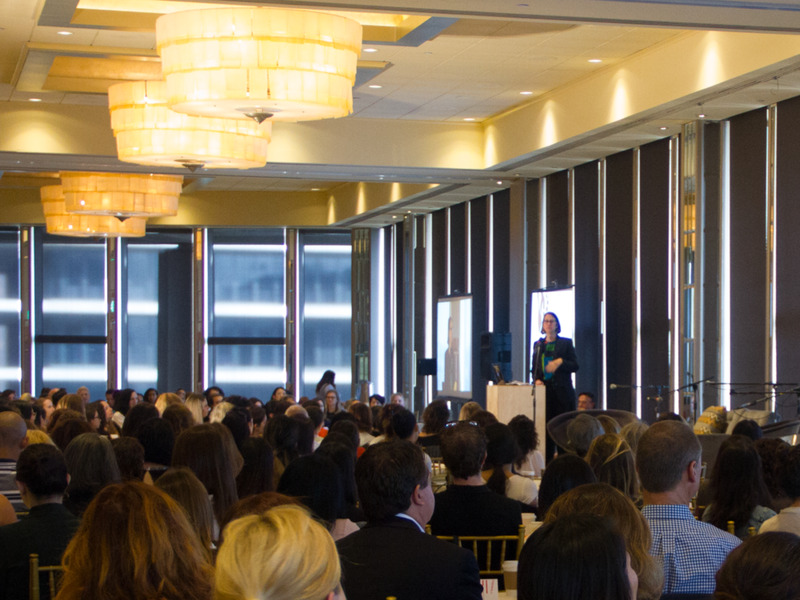 On September 20th, FF&P’s entire female staff (and a few of our male colleagues) had the privilege of attending Powerful, an annual conference organized by the AIA|LA’s WiA (Women in Architecture) committee. During a full day of speakers and panels, discussion sessions, and educational training, we learned about game-changing architectural projects and research, shared stories of struggle and success, heard rousing calls to action, and enjoyed a special spirit of camaraderie. For the women of FF&P, Jennifer Luce’s words seemed to sum up not just the conference’s message, but perhaps the way we like to think about architectural practice itself. Below are some of the ideas that we found particularly powerful. Storytelling is important- for conveying design intent, for sharing history and learning from it, for human connection. How does a building tell a story? During their “tech talk,” Noni Pittenger (Design Engineer, CW Keller) and Kerenza Harris (Director of Design Technology, Morphosis) raised interesting questions about using virtual reality, architecture’s hottest new design tool. As we begin to experiment with VR in our practice, we are intrigued by the idea of using VR not necessarily as a way to make decisions about and finishes, but rather, as a means of truly understanding the body’s relationship to a building’s scale and sense of place. Laura Friedman (Assistant Speaker pro Tempore, California State Assembly and Assembly Member, District 43/Glendale) cited a study illustrating skewed perceptions of women’s presence and participation in professional collaborations. If a table of colleagues includes 30% women, men tend to describe that gender split as 50/50; if the table is half women, men will view that number as being mostly women. Belinda Morris (Founder & President, Peoplescape Consulting Group) and Candice Gottlieb-Clark (Founder, Dynamic Team Solutions) followed-up with an eye-opening interactive discussion of unconscious gender bias, as well as how to confront it. Not surprisingly, gender bias begins when we are very young. According to Reshma Saujani, founder of Girls Who Code, in primary school, boys are taught to be brave and take risks, while girls are encouraged to be perfect. As women grow up and enter the workplace, we experience gender bias in many forms—both overt and subtle—across all industries, from professional sports to architecture. While we at FF&P are lucky to be part of a diverse, open-minded cohort, it is still important to remember that as human beings with different life experiences, we all exhibit bias. The first step to moving past it is raising awareness- within ourselves, and within others. Anne Schopf, AIA discussing Quiet Activism. Anne Schopf, AIA (Design Partner, Mahlum Architects) combined bravery and vulnerability in her discussion of “quiet activism.” While she urged us to embrace a cause we feel passionate about, she also recommended so in a way that feels personal and authentic. Even small-scale actions will add up, make an impact, and move us in the right directions. Laura Friedman made an eloquent argument for women sticking together throughout their careers. As we gain more responsibility and achieve higher positions of leadership, we should strive to raise up the women following in our footsteps- not just to our level, but perhaps even higher. Because in turn, they will raise you up too. Whether it’s through sharing knowledge within our project teams or our Partners guiding our Next Generation of firm leaders, we at FF&P understand that strong mentorship should be taken seriously as a benefit to everyone. We look forward to attending Powerful again next year, and we encourage everyone in our industry (women and men) to do the same.